July | 2008 | Ipoh Mali Talak Sombong! 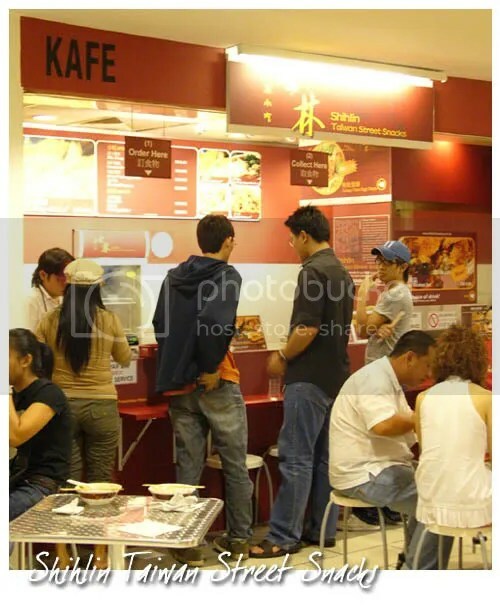 Small kiosks or stalls inside shopping malls are indeed popular in Klang Valley with the evidence of long queue and fully occupied dining tables. This is what I saw when we stop by Shihlin Taiwan Street Snacks for a quick lunch (it’s in between lunch and dinner time actually) in Ikano Power Centre last month. Shihlin Taiwan Street Snacks has more than 10 franchise outlets in KL, PJ, Malacca, Penang and Johor, not to mention Singapore and Indonesia. 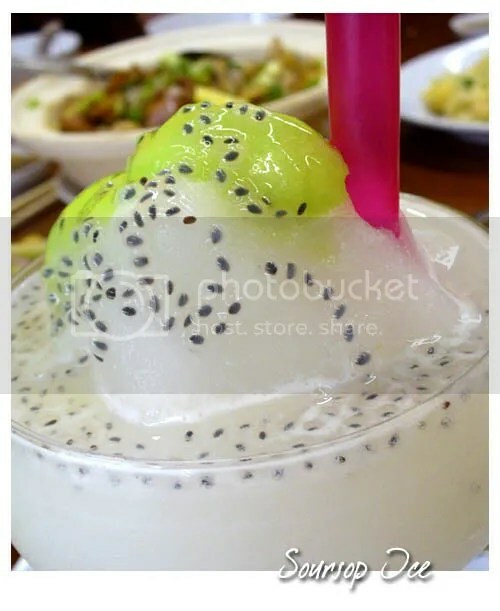 The name was taken from the famous Shihlin Taiwan Night Market in Taipei due to its popularity among locals to search for night snacks (Taiwanese love to snack when watching TV! 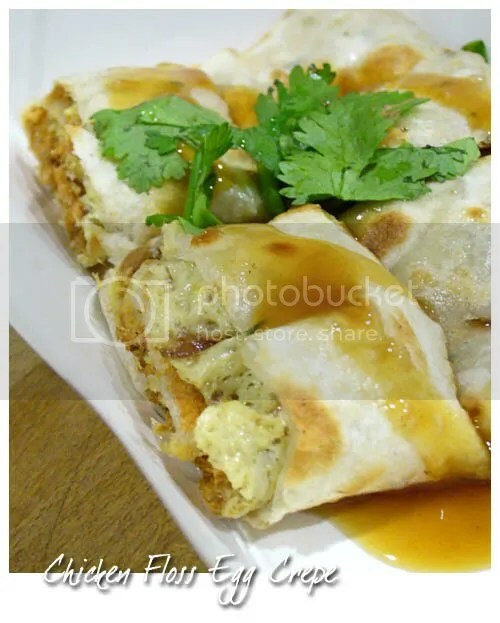 ), so the food served here are re-created from the snacks found in Shihlin Night Market. 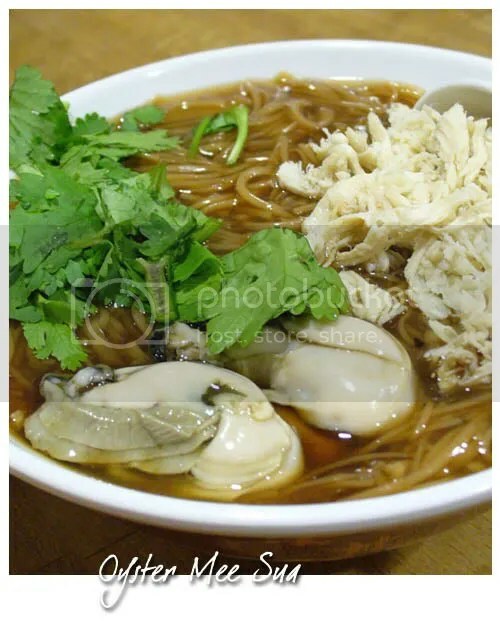 The most famous is the hand made Oyster Mee Sua, comprising a thick stock made of five core ingredients, imported hand made mee sua, fresh oysters and shredded chicken. I didn’t order this as I’m not a fan of oysters but my dining companions seem to love it a lot. Instead of mee sua, I had the XXL Crispy Chicken Rice Set or Happy! 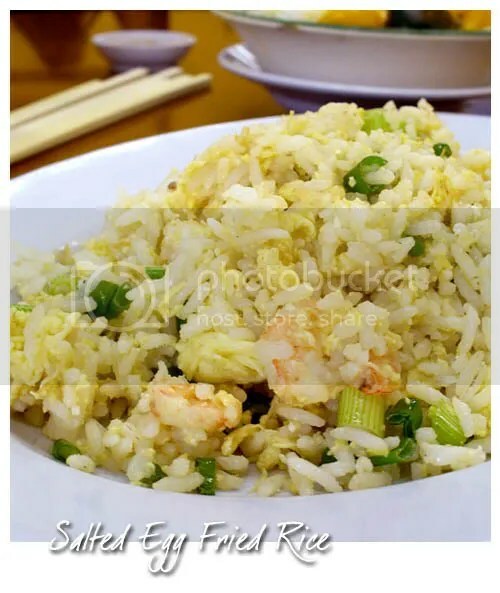 Ricebox Set which comes with a huge piece of deep fried crispy chicken fillet dusted with chilli powder, cold white beancurd, century egg, special sauce, rice and drink. The chicken fillet was neither too dry nor juicy, just alright but the sauce is good! 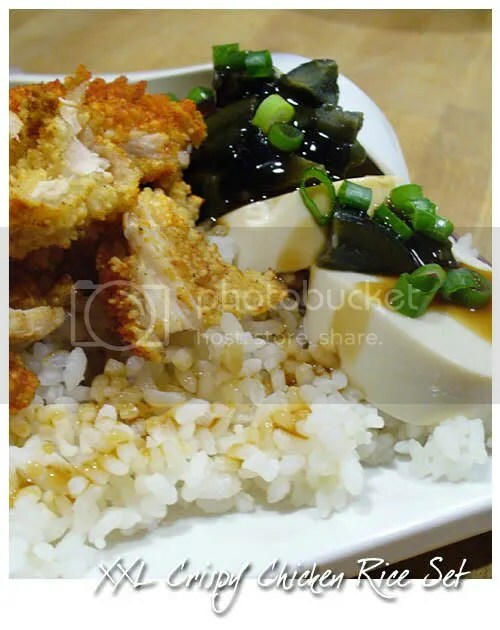 It complements the beancurd and century egg very well. Somehow, I don’t really like the Chicken Floss Egg Crepe as I found the egg crepe was a bit chewy and not fragrant enough. What do you call a meal in between lunch and dinner? What do you call a meal in between dinner and supper? Who else been to Shihlin? It seems that Motormouth aka J2Kfm travels a lot lately; for example, he was in KL last month for work and the trip doesn’t seem to be complete without a small gathering with the other floggers. So, I took the helm again and buzzed those who stayed nearby Cheras for dinner as J2Kfm was staying at his aunt’s house in Pandan Indah, Cheras and since he’s not driving, we opted to have it in Cheras too. My boss packed some stuff from this place for lunch before (which we really liked), so I chose this place. At first, they thought this is a restaurant for some Western/French food! The menu is quite colourful and it seems like they serve mostly simple Chinese and Teochew dishes with a twist (although we didn’t really get the Teochew feel, but never mind that). 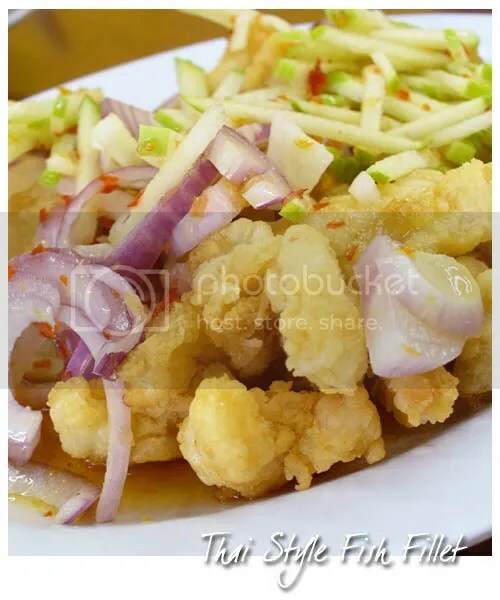 We like the Thai Style Fish Fillet (RM 13) which was lightly battered, deep fried and tossed with tangy spicy Thai sauce, onion and cucumber. But luckily, these Money Bags (RM 10) were still as good as the previous ones. 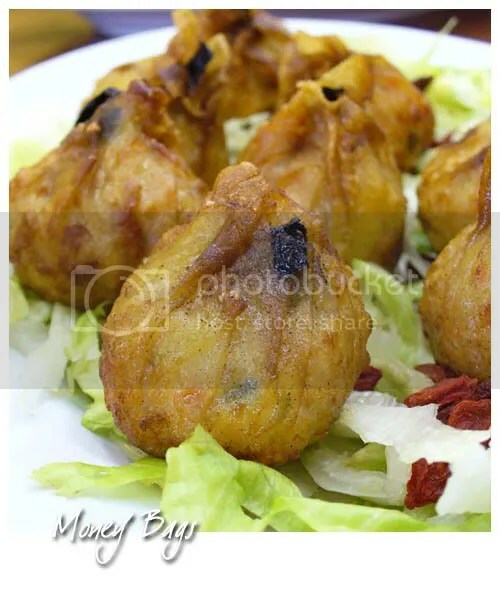 They uses seasoned minced fish paste with some chopped spring onions and wolfberries; all wrapped with thin wantan skin, deep fried and served on a bed of shredded iceberg lettuce and wolfberries. The fish paste was smooth in texture and not coarse with a mild hint of Chinese herb, tongkwai. They have been introducing some new item to the menu and we decided to give them a try by ordering this Lemongrass Chicken Pan Mee (RM 12). It sort of giving me the feel that I’m having pan mee, Vietnamese style. 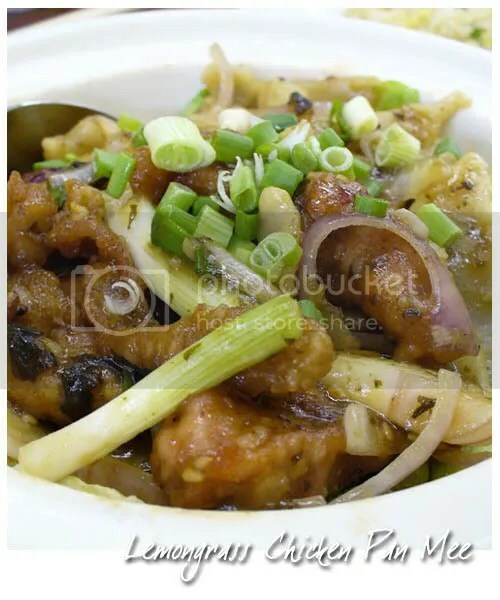 The pan mee was done dry version and “hand-torn type”, with delicious chunks of tender chicken infused with lemongrass fragrance, onion, spring onion and crushed peanuts in a sticky, dark sauce. 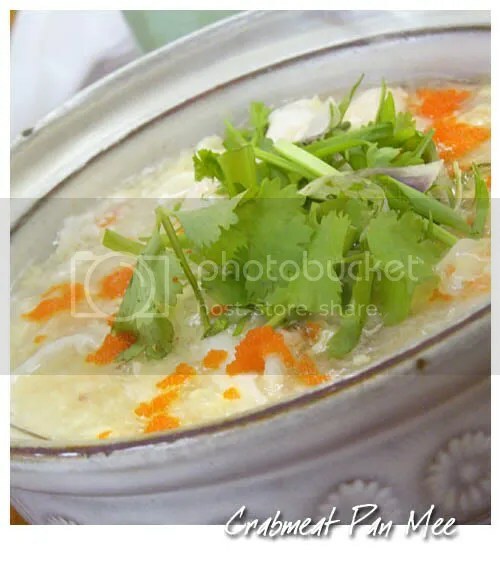 Crabmeat Pan Mee (or Seafood Pan Mee, RM 15) was also the “hand-torn type” style, cooked in a broth thicken with cornflour (resembling shark’s fin soup), egg, prawns, fish fillets, crabmeat sticks, spring onions, parsley and fish roe (?) but somehow, it failed to impress us. It was quite bland to my palate and the broth was too thick to my liking. 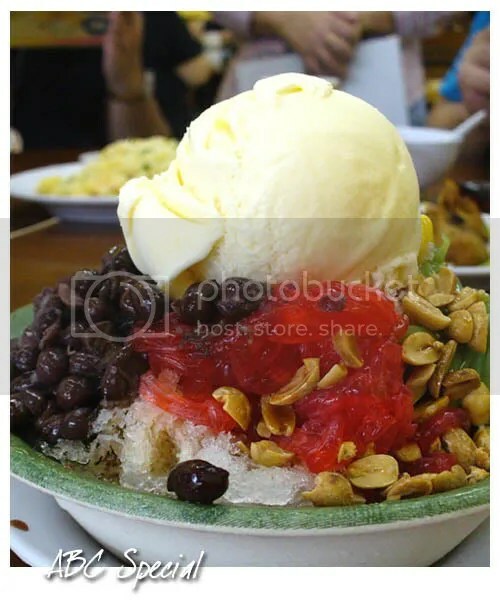 As the name of the restaurant implies, crushed ice desserts are available here so I settled with my old favourite Ais Kacang with a scoop of vanilla ice cream, J2Kfm opted for Icy Mango Milk (RM 4.50), Tummythoz ordered the Ice Blended Soursop, Phitoy only had two scoops of ice creams and lastly, Food Cookies had her Mint Chocolate Milk Shake (RM 4). A cool ending to the dinner for that night. 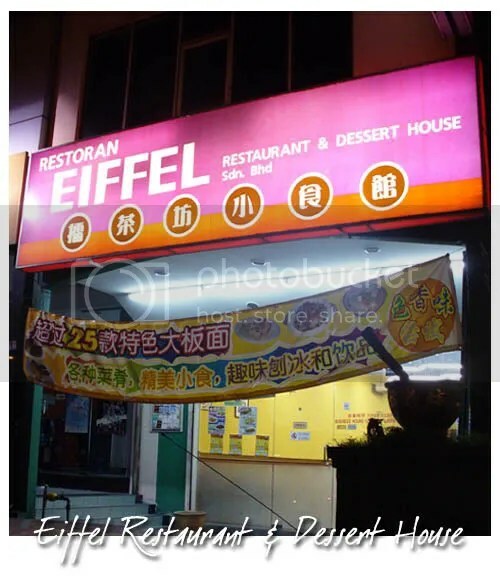 Total bill came to RM 77.50 (no service charge whatsoever) for the five of us – reasonable! Business Hour: Not specified but closes around 9pm. Potato Will came to visit KL couple of weeks back from Washington for work, so a few of us get together for dinner and drinks. JL planned the whole itinerary for the night – dinner in Ampang, followed by drinks with the KL skyline as background and clubbing near KLCC. 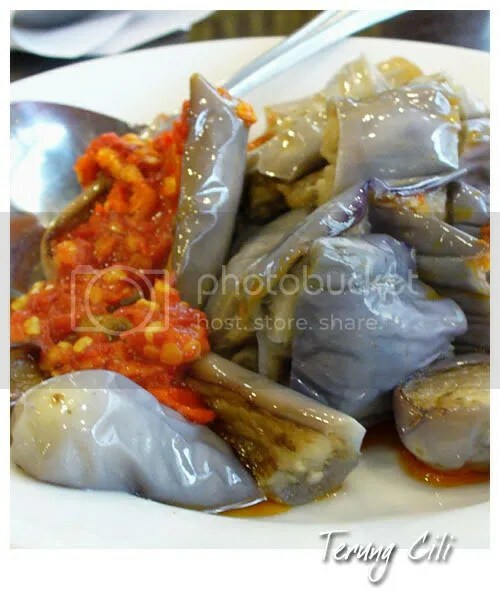 JL asked me if there are any nice place for dinner in Ampang… I’m clueless except for Nong & Jimmy at Taman Cahaya. I texted Tummythoz but she replied that she seldom eat in Ampang too. So, back in square one, we search high and low of the makan blogs and we concluded to drop by Sari Ratu at Ampang Waterfront which serves Indonesian-Malay cuisine and nasi padang. To heighten your “drool sense”, first, feast your eyes on the dishes on display at the counter. 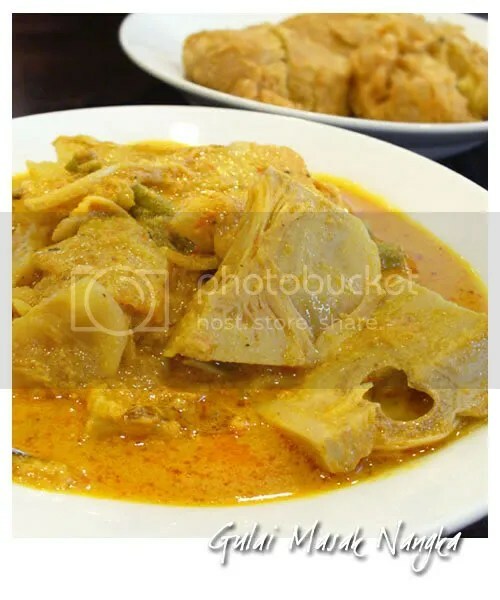 The choices were not as much as I expected but enough to make you hesitate… “Should I get this or that one?” “This one look pretty good too…” “My favourite rendang! Wait, I already picked another beef dish earlier!” Anyway, the helpful and friendly staff will recommend some of the dishes to you and basically, you can’t go wrong with their recommendation. The Gulai Masak Nangka was pretty good, very lemak with chunks of jackfruit, cabbage, long beans and other veggies in a not-too-spicy gravy. 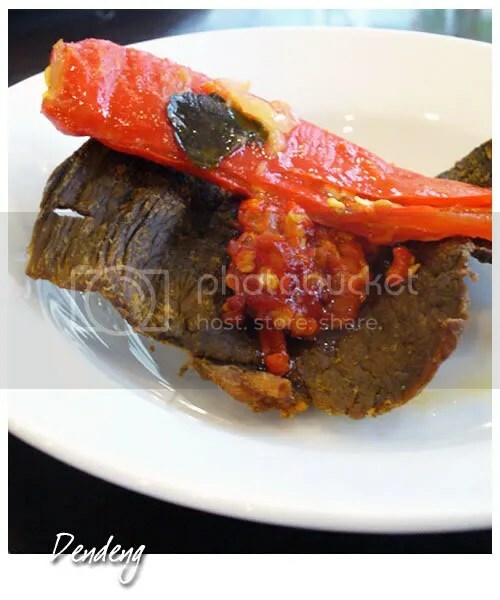 Dendeng Daging which is made of fried thinly-sliced beef and serve with pounded chillies. It’s not the usual crispy type and although the texture was a bit chewy, it still taste good nonetheless. 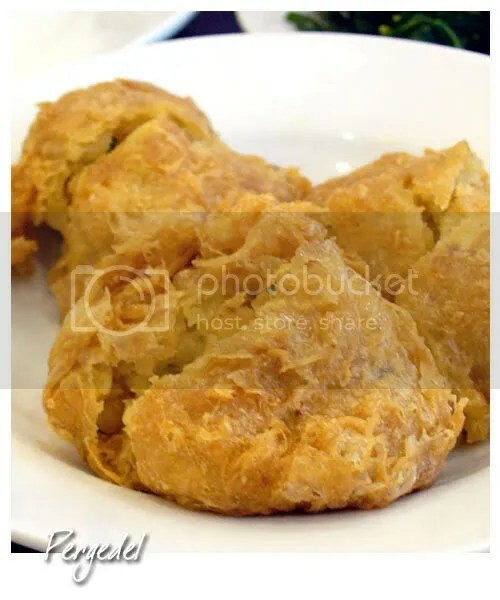 I tried a good version of Pergedel at Enak KL before, thus Sari Ratu’s version lack the “oomph” with lesser minced beef, more potatoes and spices. The outer crust was a bit soggy too. Aubergine aka eggplant/brinjal wasn’t my favourite veggie but this simple dish of stir fried aubergine with pounded chillies tastes marvelous, not too greasy and went well with rice. This is the first dish we ordered, Chicken Pop. We ordered 4 pieces of this to be shared among the 8 of us and all of us like it. 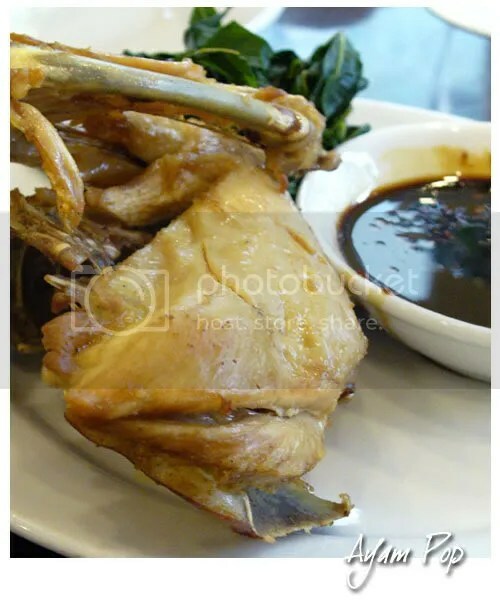 Served with tapioca leaves and a dark and thick sauce which resembles rojak sauce (tastes a bit salty and sweet at the same time), the chicken lightly fried, thus retain the juicy, succulent meat. 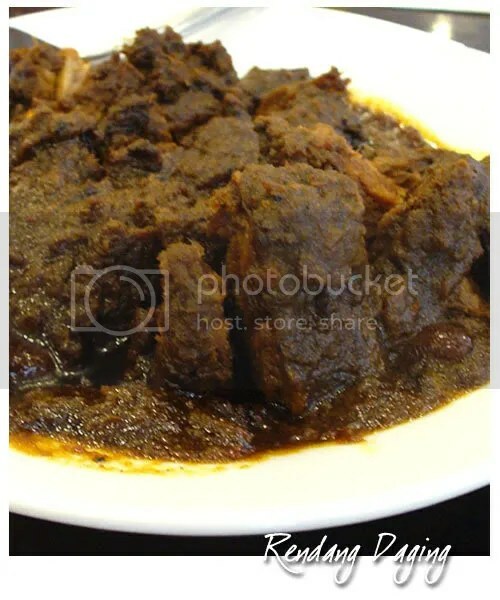 We love their Rendang a lot; tender beef chunks cooked with spicy and thick gravy. We ended up ordering 3 servings of this and literally flood our rice with the gravy. Potato Will, not really into spicy food, agreed that the dish was great too. 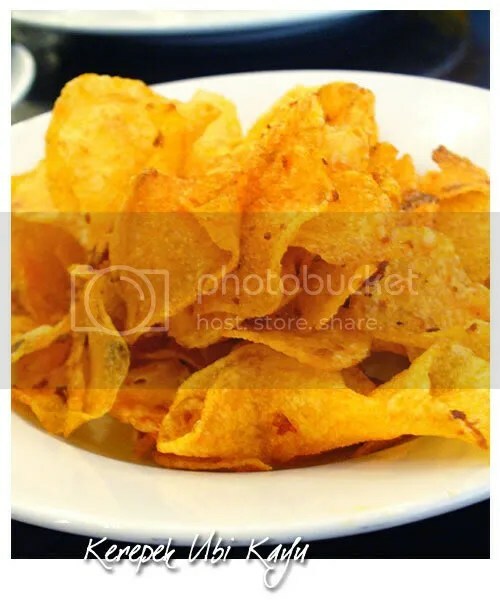 And some Kerepek (tapioca chips) to end the satisfying meal. 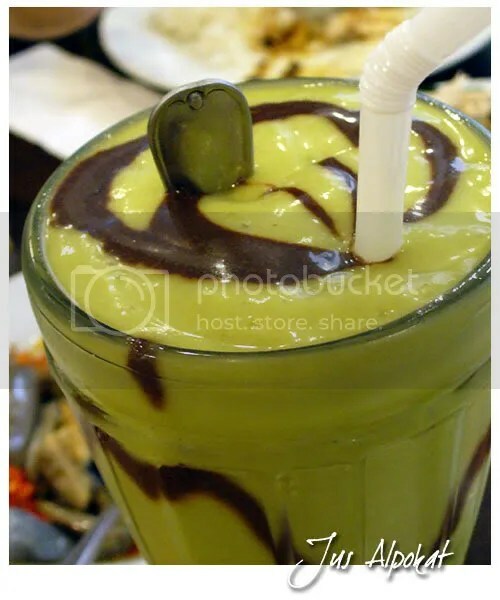 For drinks, I had the Alpokat juice that came in a tall glass, filled to the brim with blended avocados and chocolate sauce. It’s so thick, it filled my stomach really fast but from my opinion, it tastes rather bland. 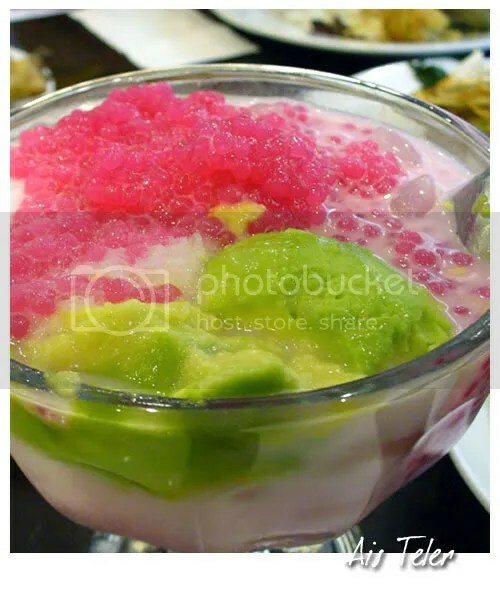 The colourful Ais Teler is another recommendation – akin to our local ais kacang; shaved ice, avocado pieces, coconut flesh, palm seeds and pink sago in a pinkish syrup that looks like bandung. I reckon the next time we come here again, shall order some their fish, vegetable dishes as well as the beef rendang. The guys also ordered something which they said is a cow’s brain *shudders* and it looks like a piece of mashed, mushy vegetables (no picture on that). 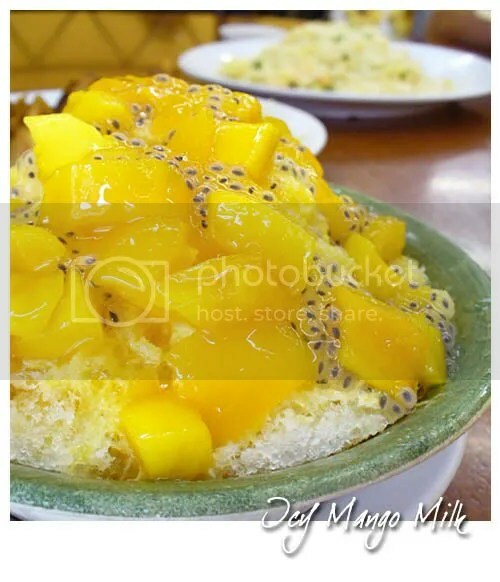 If Ampang is not your usual playground, you can drop by their other outlets too which might be nearer to you. We then adjourned to Look Out Point at Hulu Langat (with JL as the navigator) and we were surprised that the place is so packed, they doesn’t allow us to drive up to the restaurants. 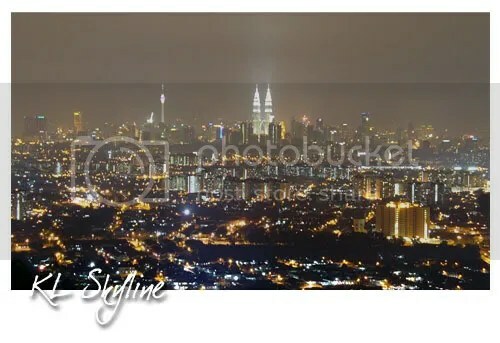 Instead, we had to park our cars down at the main gate and take the stairs but the view is really worth it. So, if you planned to come here on weekend, remember to come early.